Professor Jimmy Choo OBE is an iconic luxury fashion designer based in London, who became known for his fabulous handmade women’s shoes. Choo was born in Penang, Malaysia, into a family of shoemakers, who are of Chinese Hakka descent. He made his first shoe when he was 11 years old. After graduating in 1983 from the Cordwainers Technical College in Hackney, England, (now part of the London College of Fashion), Choo became a bespoke shoemaker based in the East End of London catering for the global jet set, including Princess Diana, from the early 1990s. The Jimmy Choo Ltd company was co-founded in 1996, when Tamara Mellon, OBE, then an accessories editor at British Vogue, discovered Choo and recognized a niche in the luxury shoe market. Choo’s niece, Sandra Choi, also joined the business as Creative Director. In April 2001, Choo sold his 50% stake in the company for £10 million. 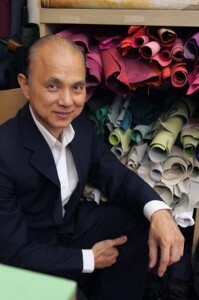 He has since concentrated his work on the exclusive Jimmy Choo Couture line produced under license from Jimmy Choo Ltd.
Choo lives in London and is currently involved in a project to set up a shoemaking institute in Malaysia, where his iconic status is often evoked to inspire budding shoemakers and fashion designers. 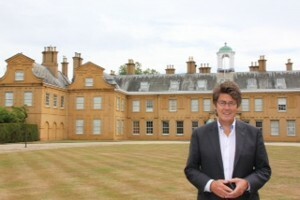 Mike Read has won ten National Broadcaster of the Year awards in the United Kingdom, having constantly fronted top-rated TV and Radio shows for thirty years and won many TV and Radio awards during his time with Radio One and BBC television and beyond. He is also a best-selling author, having had 36 books published, created many stage musicals and written songs for dozens of major artists, including Cliff Richard, The Bee Gees, Boy George, Don McLean, Brian Wilson of the Beach Boys, Donovan, David Essex and many others. Mike now presents the weekend Breakfast Show on the Magic Network as well as presenting for three other radio stations including BBC Berkshire. In May 2011 Mike became a Knight of Malta when he received the Order of St John of Jerusalem and in October 2011 received the prestigious Gold Badge Award from the music industry. Until the declaration of Boris Johnson, he was a front-runner for London Mayor. A keen sportsman, he has played tennis in several county leagues and is an avid croquet player.